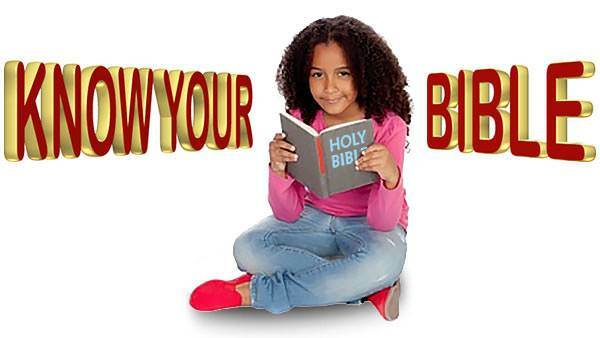 For a long time Jesus lived here on earth, going around helping people, and teaching them about the heavenly Father. Now he would soon be going back to the heavenly home. He would have to leave his work for his helpers to do. Could he trust them to do it well? Then Jesus talked to Peter about his work. 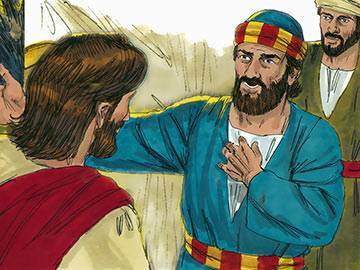 Jesus told Peter he was counting on him to go about helping people and telling them of the heavenly Father. Not long after this, Jesus said good-bye to his friends and went back to his heavenly home. Then Peter was glad Jesus had given him work to do. It was not easy work. Peter had to leave his home and go from place to place telling about Jesus. Part of his work was helping the sick and unhappy people. Sometimes Peter became tired. Sometimes he must have wanted to go home. 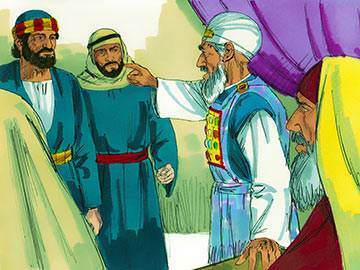 And worst of all, sometimes the rulers in the cities were unfriendly to Peter. 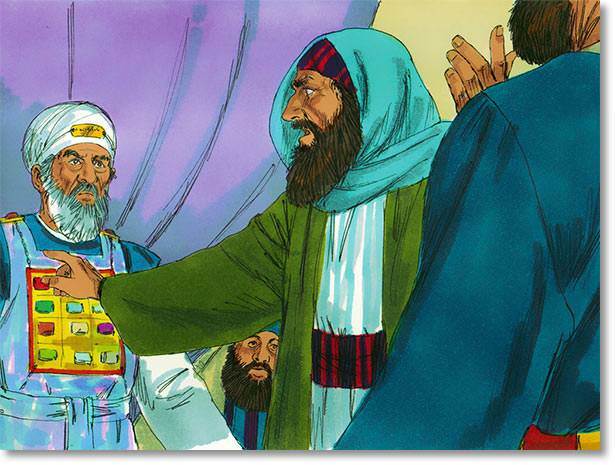 They did not want Peter to tell the people about Jesus. They told Peter he must stop being Jesus’ helper. But Peter would not stop. “It is my work,” he said. “It is the work Jesus gave me to do. I promised I would do it well.” And he kept right on with his work. The people came to love Peter, who was so busy doing Jesus’ work. Many of them had never heard of Jesus until Peter came to them. Because of Peter’s words many men and women and boys and girls came to love Jesus too. It was splendid work that Peter was doing. The sick people came crowding around Peter too. For Jesus had given his helpers his wonderful power to make sick people well. 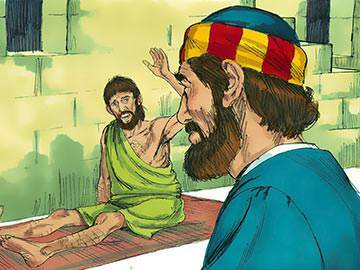 Many who were lame or blind or ill were helped by Peter as he went about his work. Finally the rulers of the city became so angry with Peter that they put him in prison. “You must stop telling the people about Jesus,” they said to him. But Peter did not stop. He was very brave. As soon as he came out of prison he went on with his work. And so in a short time Peter was arrested again. He was brought before the rulers of the city. 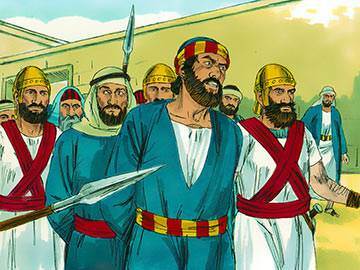 Peter stood bravely before them. “I must obey God rather than men,” he said. 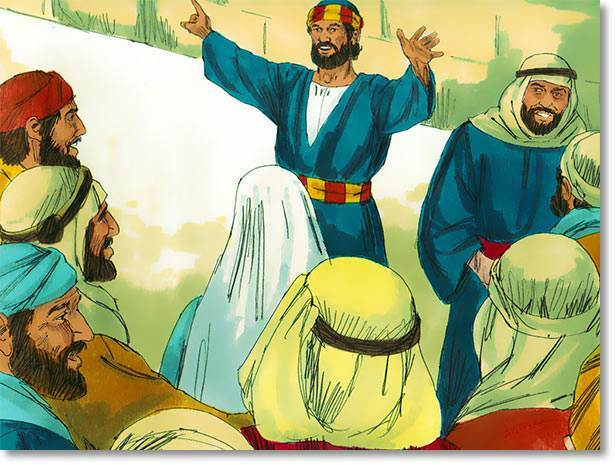 And instead of stopping his work he began right then to tell those angry men about Jesus. The rulers thought and talked among themselves. 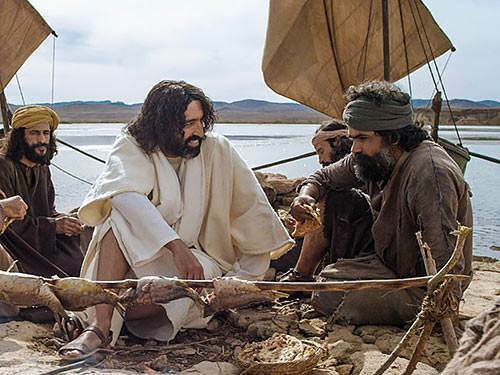 They did not know what to do with a man like Peter who would do his work in spite of anything. Finally they decided to let him go. They told him once again he must stop telling about Jesus. But of course Peter did not stop. As long as he lived he did the work Jesus gave him to do. As long as he lived he did his work well.